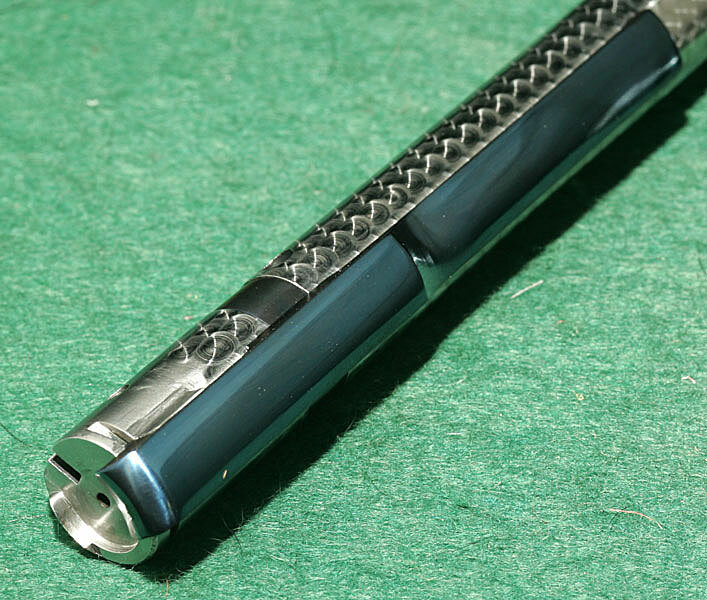 Jeweled - An engine-turned treatment on a steel part done both for a finished look and to hold a trace of oil on the surface. An abrasive-impregnated rubber bit is used to describe a circular pattern on the surface of the steel, then moved just a little less than distance of the diameter of the bit, touched to the surface again, and the process repeated until the steel surface is covered with small regular rows of circular swirls. 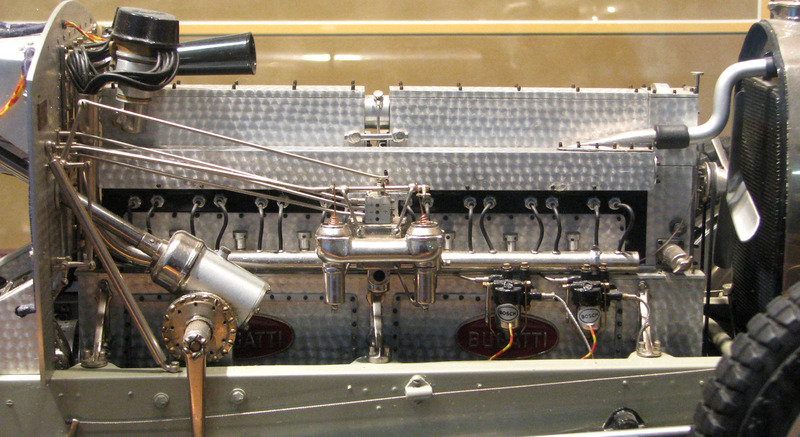 Below: engine-turned surfaces of a Bugatti engine.